This week’s rain is sure to get lots of plants going as the temperatures are warming up. But that might not be good news for some Spokane County land owners, who may be surprised to receive a warning notice from the county weed board. Every spring, weed board inspectors go out and look for invasive weeds. They send out as many as 5,000 warning letters to land owners, explaining that an invasive weed has been seen on their property, and they must take steps to get rid of it. There is a list of all the weeds in the state that are considered to be invasive, and 10 to 15 that are the most prevalent in Spokane County. Those are invading, non-native plants that can crowd out native species, are toxic to animals, and cause problems for farmers by getting into hay fields or contaminating grain. There are various ways to try to get rid of invasive weeds, including mowing early in the spring to cut the seed heads down, planting various grasses that might crowd out the weeds, and spraying chemicals. In fact, the county warning letter contains a list of a couple dozen companies that are authorized to spray chemicals to get rid of the weeds. Dave Mundt is with the Spokane County Weed Board. “Herbicides are the most effective when used properly. It’s not a magic bullet. But it is something for a person if they really want to eradicate and get rid of the noxious weeds quicker, I guess is what it really comes down to, that is a tool that you need to use,” Mundt said. But for some, use of herbicides might be a less than ideal solution. Not mentioned in the introductory warning letter from the county is the possible use of biological controls. Such controls usually mean an insect that consumes the invasive weed. A program using bio-controls has been in used by the WSU Extension Service since 1999. Various insects are used to treat specific types of weeds. The insects are federally approved and do not attack native plants or crops. Jennifer Andreas, a biocontrol specialist with WSU Extension, says such controls often take years to be effective. 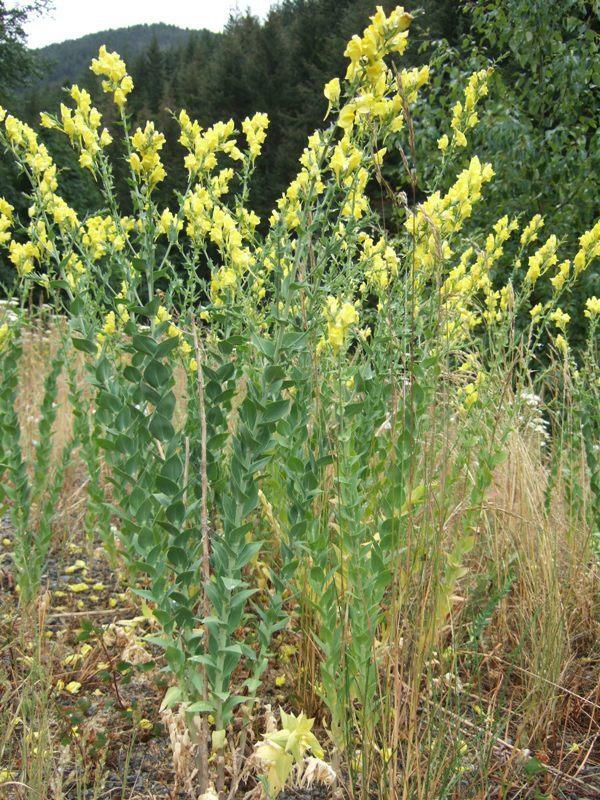 She cites the case of weevils, which were used to control the weed Dalmation Toadflax in the Methow Valley. She says major progress was noted after the relatively short time frame of 3 years. “I got a message from a Forest Service person who works out in the Methow Valley, and he said, in his 20 or 25 years of working in weed control, he’d never seen anything like it. It’s the most successful weed control he’s ever seen, including herbicides,” she said. For land owners who receive the letter from the weed board, it can be a somewhat daunting challenge. Dave Mundt says if they don’t hear back from a land owner, they will send out a second letter, and if the infestation is bad enough, they have the authority to go on a property and apply herbicides, then bill the property owner. Pat Munts of WSU Spokane County Extension says the best strategy is to work with the weed board to come up with a long term plan of how you hope to deal with the issue. “If you get input from the weed board, from extension, in coming up with a plan, then you’re more likely to move forward at the right time of the year and start getting it under control. Even just talking to your weed board inspector for the region is a step in the right direction, because they know you are trying to put something together,” Munts said. Dave Mundt confirms the best strategy is to work with the board to come up with a plan for dealing with the pests. He says staff members can pay a visit to your property to help formulate a strategy.